Our volunteers Jenny and Erica, take our mission to heart! Help Families Feel Valued and Cared For. Your donations and custom made gift will give families a little bit of hope and joy, because your actions show them how much you care about them. By providing families in need with a gift of high need baby items, you are giving them the opportunity to spend their money on other necessities such as food, rent, transportation, bills, or savings. Shopping for discount items can be time consuming for families in need. 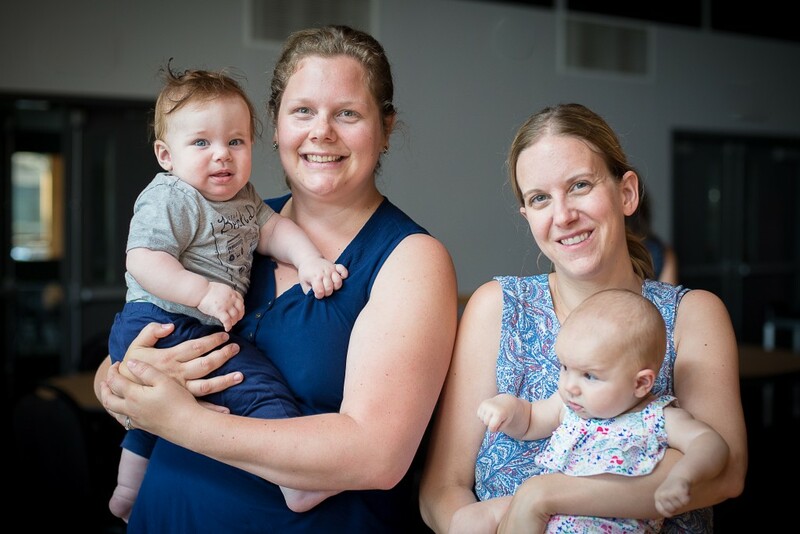 By donating to this project you are giving families the opportunity to instead spend their time bonding with their baby, caring for their other family members, napping, or catching up on housework instead of shopping for supplies. Every gift of once loved baby clothing and items saves valuable resources for planet earth. Share information with parents about how they can nurture strong and lasting connections with their child/ren via attachment-theory principles. Resources will be provided for people interested to learn the benefits of nurturing the bonds between caregiver and child. To remain a trusted Manitoba organization, known for reducing child poverty and our environmental footprint by delivering a custom baby gift to any expectant Manitoba family in financial need who needs one.